Dynamite Entertainment proudly resurrects one of horror's most infamous villains in Reanimator, a four-issue miniseries written by Keith Davidsen and illustrated by Randy Valiente. Featuring the notorious Dr. Herbert West -- the mad scientist created by weird fiction author H.P. Lovecraft -- Reanimator debuts its first issue in April and features variant covers by comic artists well-known for their horror work: Jae Lee (Dark Tower), Francesco Francavilla (Afterlife with Archie), Tim Seeley (Hack/Slash), and Andrew Mangum (Wilder). In Reanimator, Dr. Herbert West heads to New Orleans to continue his life's work: the revival of the dead by purely chemical means. To accomplish this task, he recruits Susan Greene, a young and wide-eyed pharmacologist fascinated by his macabre experiments. Initially unfazed by West's unorthodox practices (including how he funds his research - by selling zombie brain fluid as a narcotic), Susan may regret her scientific curiosity as sinister forces - those aligned with Elder Gods and Haitian Voodoo - begin to align against the Reanimator. Reanimator blends mad science, Lovecraftian tentacle terror, backwater Louisianan superstition, and fan-favorite elements of such television shows as Breaking Bad and The Walking Dead. 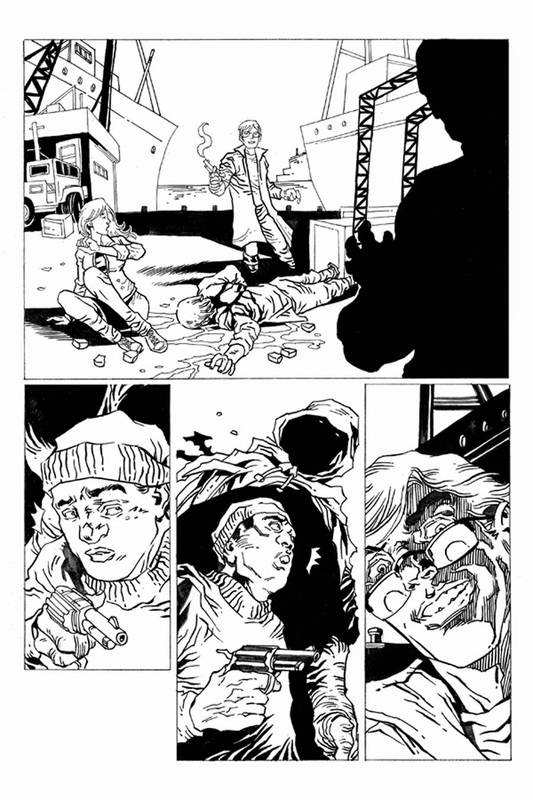 Writer Keith Davidsen, writer of the cult comic Poison Elves, says, "H.P. Lovecraft is one of the most impactful writers of the 20th century, an influence on such comic book luminaries as Neil Gaiman, Alan Moore, and Mike Mignola, so giving Herbert West - one of his most beloved characters - a well-deserved spotlight in an all-new series just feels right." H.P. Lovecraft's Herbert West - Reanimator first debuted in the pages of amateur journal Home Brew in 1921, a six-part serialized story that introduced the mad scientist and his enthralled, unnamed assistant. As Lovecraft's posthumous renown grew, Reanimator became one of the most recognizable of his characters (second only to Cthulhu, the octopus-like Elder God), and appearances in stage plays, anime, and a series of movie adaptations solidified Herbert West as a bonafide horror icon. 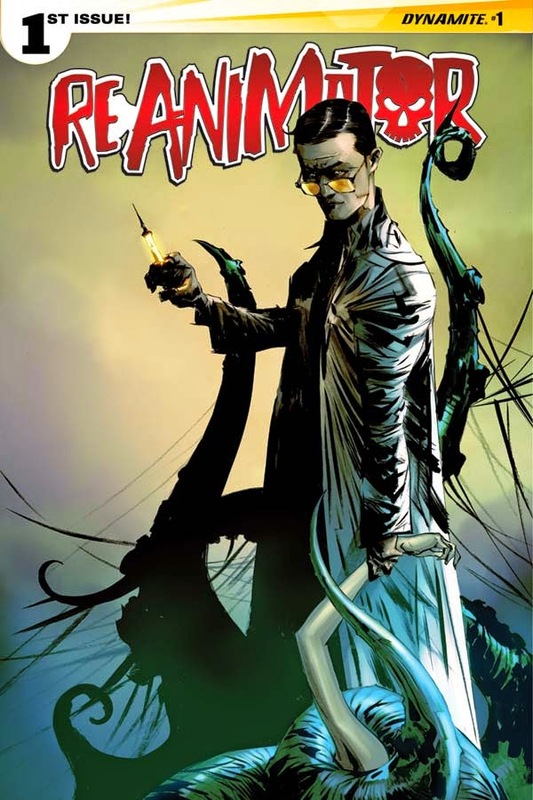 Dynamite Entertainment introduced West to comic books in 2005 with the Reanimator #0 one-shot, and continued his adventures as a supporting character to Ash Williams in Army of Darkness, the company-wide crossover event Prophecy, and last year's Army of Darkness/Reanimator special. 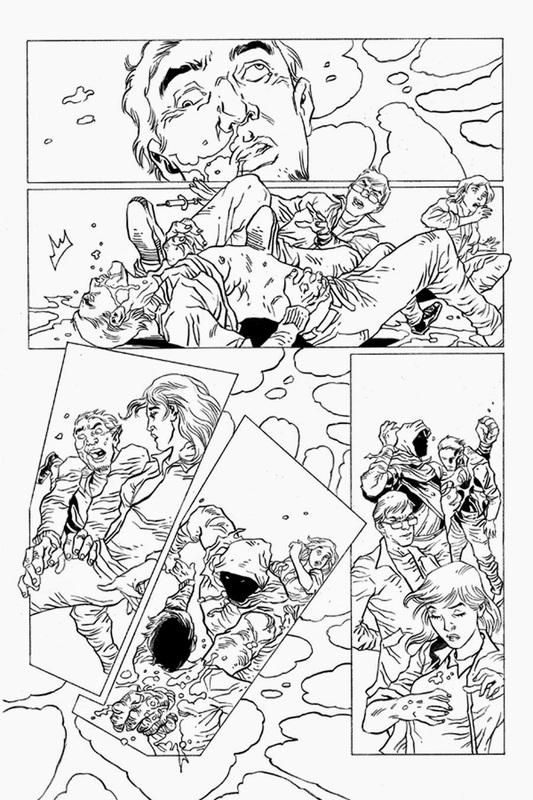 Artist Randy Valiante, who had previously worked on the Army of Darkness/Reanimator special, says, "I like working onReanimator because of the atmosphere and the tones of the characters and stories. I have been interested in how the brain works and Dr. West is an interesting psychopath, pure intellect without emotion. Also, I am a big fan of H.P. Lovecraft. I did a couple stories many years ago with Dagon and his other sea monsters, and I realized that I have this fascination of drawing tentacles and creatures and creepy stuff. I like organic elements on my drawings, and Lovecraftian stories fit that well. It's kind of strange, but sometimes his characters give me chills when I go swimming -- you know, tentacles might come out of the water, or a creature could pop out in front of you. It's scary as hell." 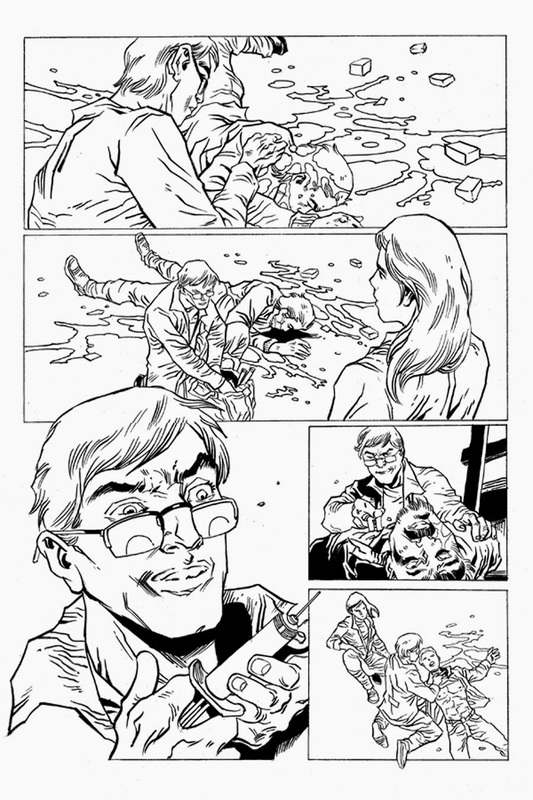 "When we first discussed giving Reanimator his own solo series, Nick Barrucci (the CEO and publisher of Dynamite) mentioned that the challenge to overcome is that Herbert West is such a villain. But that's the beauty of the character -- he's so fanatical with his zombie-creating agenda that he'll clash with anyone that threatens his work," says Davidsen. "We're introducing some truly fearsome rivals for West to face, including elements of Lovecraft's own Cthulhu mythos, and horror fans will love seeing how West navigates or conquers them." Regarding the human story of Reanimator, Davidsen says, "Since West is an amoral character, we need an 'everywoman' character that the audience can identify with, and that's Susan Greene. She's a little bit lost, a whole lot curious about West's experiments... but ultimately, she's a good, likeable person. I think it's a fun twist on the premise from Doctor Who, that the Doctor needs a grounded Companion to serve as his moral compass... but in the case of Reanimator, we see that Susan feels the seduction of casting her ethics aside." 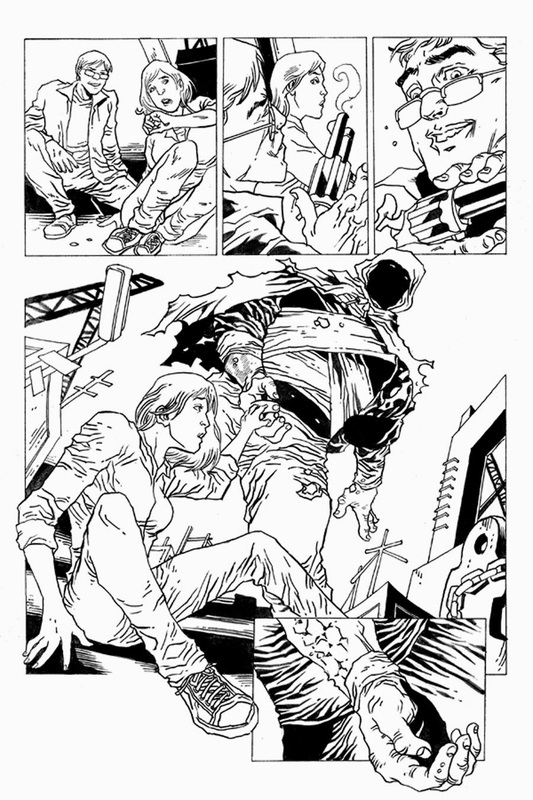 "Reanimator is finally going to realize its untapped potential," says Nick Barrucci. "Herbert West has been a perfect foil during his crossover appearances in Army of Darkness titles, but we're finally giving him the spotlight he's due. Monsters and zombies, Voodoo priests and druglords, this series has it all! Fans are going to love the creepy, sinister mood of this book, perfectly conveyed by Randy Valiente in his interior art and captured on covers by Lee, Francavilla, Seeley, and Mangum! Watch out, the horror hit of 2015 is here!" 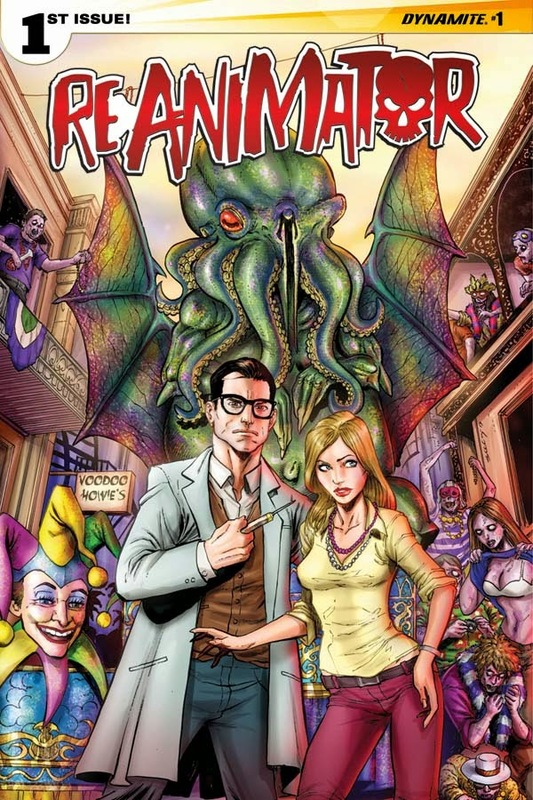 Reanimator #1 will be solicited in Diamond Comic Distributors' February 2015 Previews catalog, the premiere source of merchandise for the comic book specialty market, and slated for release in April. 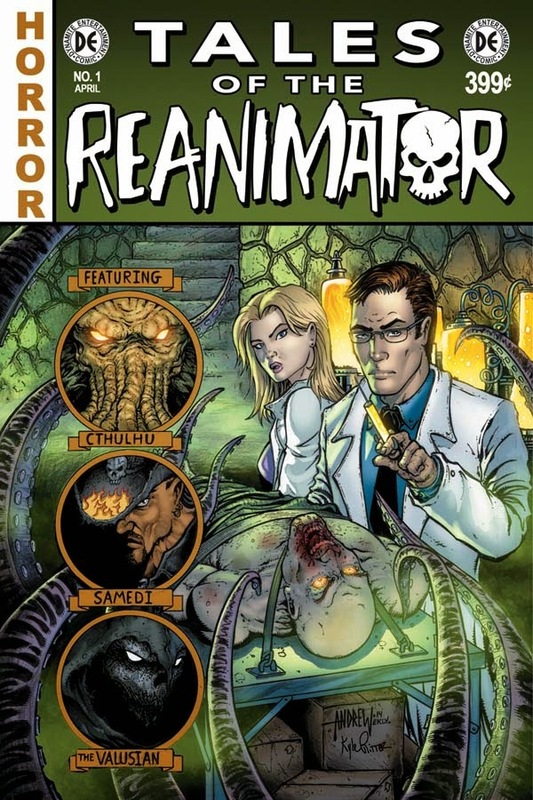 Comic book fans are encouraged to reserve copies of Reanimator #1 with their local comic book retailers. 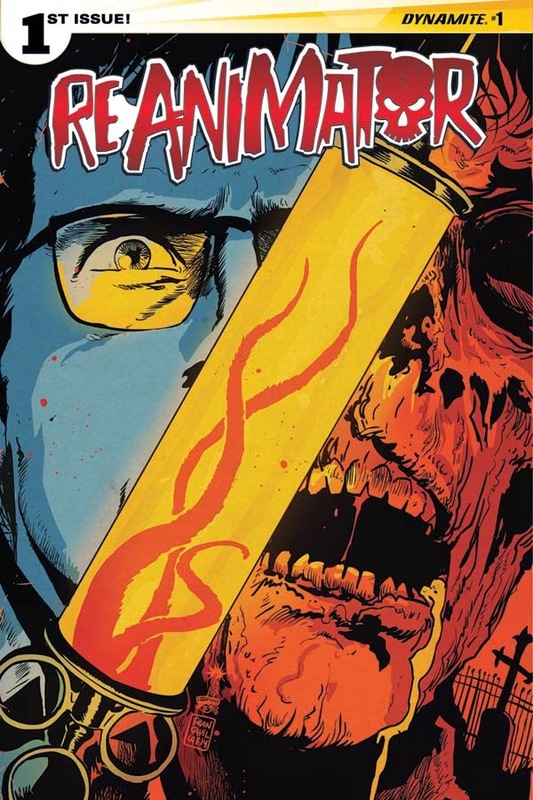 Reanimator will also be available for individual customer purchase through digital platforms courtesy of Comixology, Dynamite Digital, iVerse, and Dark Horse Digital.